Will hold sheet music and certain sized folders. Can carry 8-12 trumpet mutes or 4-6 trombone mutes. Also has accessory compartments for oils, pencils, etc. 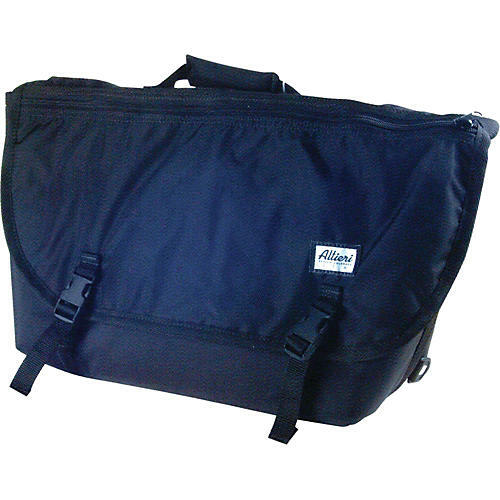 Comes with shoulder strap and carrying handle.